“Quality isn’t expensive… It’s Priceless.”Perfect Self-Catering Holidays in Sheringham, Norfolk. Sleeps up to 6. Perfect for people and pets! Sleeps up to 6. Immaculate throughout. Your perfect base to enjoy the coast. Flint Holiday Cottages in Sheringham North Norfolk. 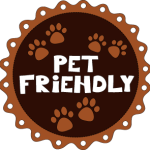 A small independent company providing high quality self-catering accommodation since 2009 , and pets are very welcome, free of charge. Located in the heart of Sheringham, a thriving seaside town full of character on the edge of an Area Of Outstanding Natural Beauty (AONB), our holiday cottages Flint Cottage and White Cottage offer quality, stylish holiday accommodation, with everything you should need in a cottage on your holiday break catered for. Allowing children and pets, and being located on quiet roads just a few minutes easy walk from both the beach and Sheringham town centre, they provide the perfect backdrop for memorable holidays on the Norfolk coast. White Cottage is just next door to Flint Cottage! Both cottages have undergone major refurbishment in the recent past, with new kitchens and bathrooms among other improvements. The close proximity of White Cottage to Flint Cottage makes these cottages the perfect for families and friends who want to holiday together. Please see the individual pages for each cottage for a detailed description. Have a question? Just ask – contact us. Want to CHECK AVAILABILITY? Go to the links under each cottage tab at the top of this page.